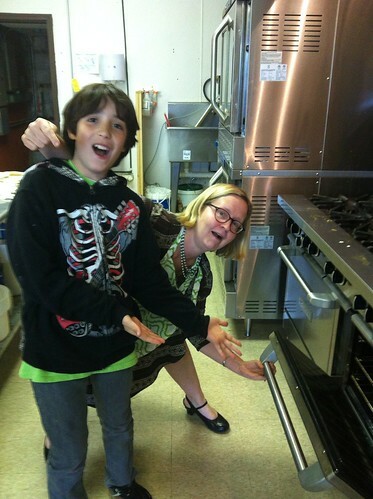 My friend, Liz, started a cooking class for kids called Supper 101. The minute she posted about it, I knew Satchel would love it. He is a very adventurous eater, and adventurous eaters need to know how to cook! The Commercial Appeal did a great story on Liz and the class, which you can read here. Satchel was actually a tad nervous before the first class, but he is at the age where I can talk him into trying things he is unsure of. Plus, he already knew several of the other students, most of whom were middle school boys. How could it not be fun? At the beginning of each session, they sat down and went over the recipes and then made a plan. 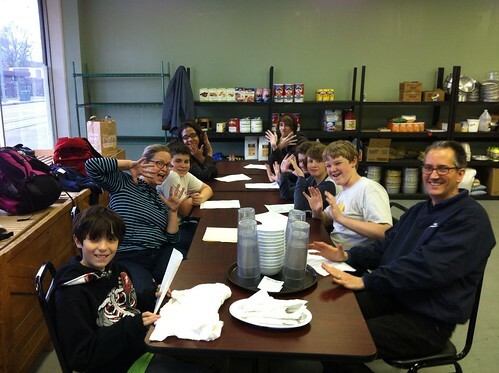 The students got to eat all of the meals they made, and they also had to do the dishes. Satchel was absolutely ecstatic after the first class, and best of all he was stuffed! He told me that he no longer cared about missing a Putt Putt field trip the next week that conflicted with the class schedule. He also said he needed to work on his knife skills. Ha! The second week of class coincided with my birthday, and as I already posted, I was treated to an amazing piece of lemon cake. Satchel was most excited about making the spaghetti carbonara. "We sauteed the noodles in bacon fat!" he told me. He also enjoyed cracking eggs. He took his phone with him to take pictures, and I think it's precious that what he ended up with was a picture of his plate! I have taught him well. The kids made quiche the second week and strawberry frozen yogurt. 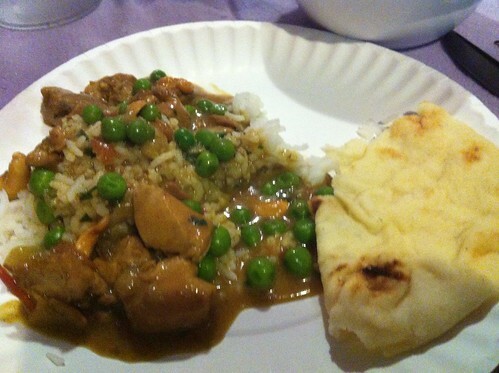 For the finale, chicken curry, Satchel was allowed to invite a guest. Jiro and I both attended under the guise of sharing a plate. 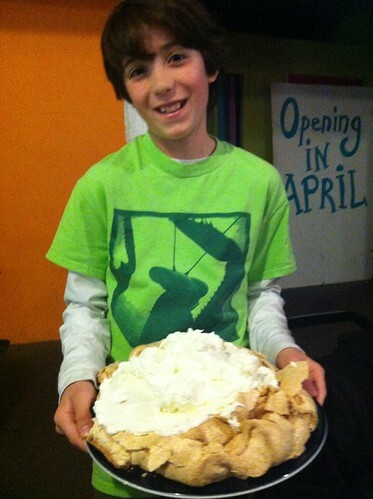 Before dinner, we visited everyone in the kitchen and got a sneak peek of dessert--a mango pavlova! The meal was served family style next door at the Trolley Stop Market. 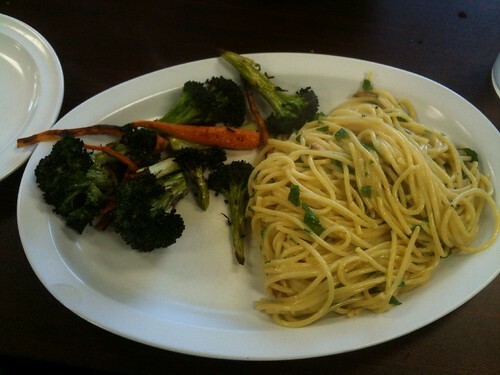 The kids did the serving and everything looked and tasted delicious. The dessert was truly epic. A HUGE thanks to Liz for all of her hard work! It really was a top notch operation, and Satchel is excited to keep learning. His confidence has increased a lot and he is even making himself food at home now. Nothing fancy, but we will get there. Liz is offering a couple of summer camps this summer. I highly recommend them! Afternoons, 1-4 pm, June 10-13. 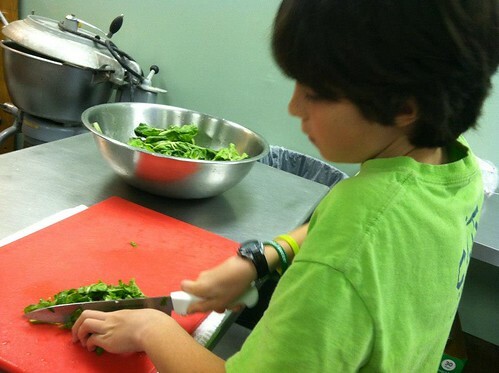 In this tasty afternoon day camp, kids between the ages of 7-12 will learn to make wholesome basics from eggs, pasta, and quesadillas to vinaigrettes, salads and healthy snacks such as smoothies and granola bars. Two Sessions: June 17-20, and June 24-27. One of summer’s greatest thrills is picking fruits and vegetables fresh from the farm and then turning them into something beautiful and delicious. 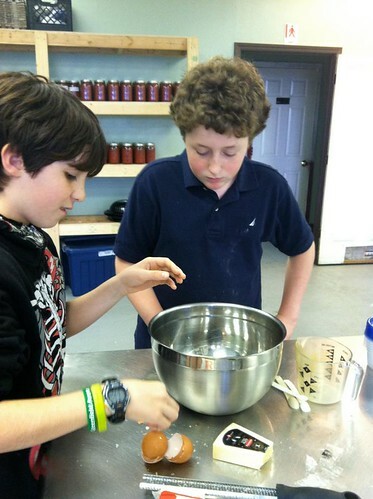 In this day camp, we’ll spend the morning at a local orchard or farmers market, then in the afternoon, we’ll use whatever we’ve found to produce pies, preserves, pickles — or maybe even a sorbet or ice cream! Wow! This is really cool! Thank you for sharing about the kids cooking class! I'm impressed at the menu - there's nothing "kid" about it. Awesome! Have a fabulous day!